These metallic colours of Body Scribblers are easy to apply and non toxic the washable pastel pens will give your face and body a sparkly colourful full look. Ideal for those summer parties, festivals and holidays, give your face and body a new look add one colour or blend together for added colours dimensions. 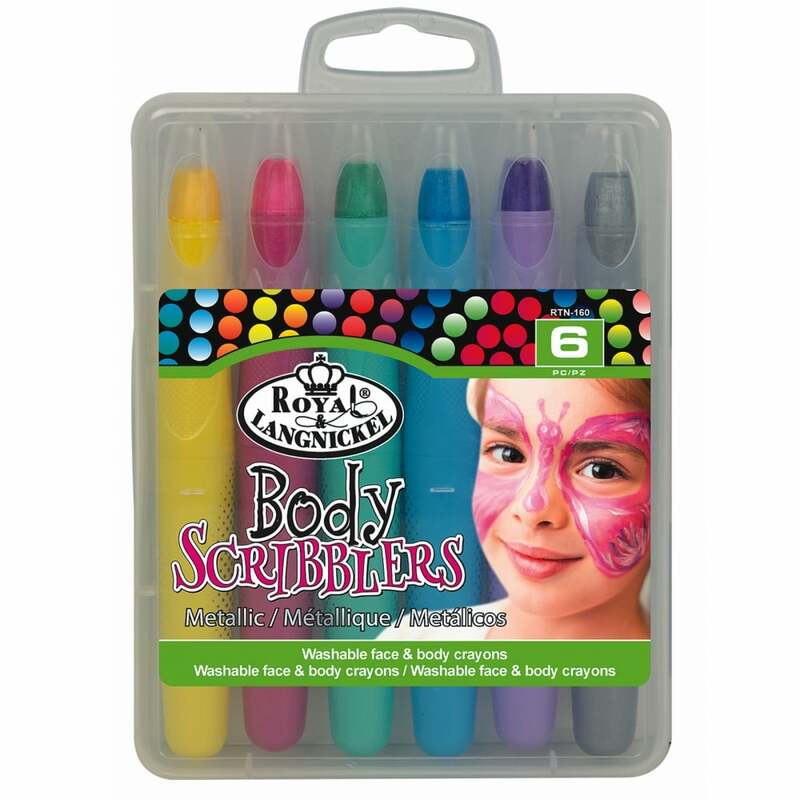 The set includes 6 body scribblers yellow, pink, green,blue, purple and silver.